Elemental carbon is greatly useful, and researchers have long been able to generate new carbon allotropes that make for super resilient and multi-functioning materials - for instance everyone’s favorite material, Graphene. The carbon family is one of the very resourceful among many others. After lots of hard work and research, carbyne stayed elusive. And it is the only form of carbon that has not been synthesized, even though scientists have been researching on its properties for past 50 years. The main reason for this is that carbyne is tremendously unstable. This one-dimensional carbon chain was first revealed in 1885 by Adolf von Baeyer, who even claimed that carbyne would remain elusive, because of its high reactivity, it would always lead to its instant destruction. Carbyne’s mechanical properties are hypothesized to surpass all known materials. It’s anticipated to be twice as rigid as graphene, 40 times harder than diamond, and moreover, it even has greater tensile strength than any other carbon material. With these types of properties, no wonder why researchers have been trying to find ways to stabilize it. And now recently, an international group of researchers have now found a practical way for the mass-production of carbyne. Scientists took two coatings of graphene, pressed them together, and rolled them into tinny, double-walled carbon nanotubes. The tubes were then enfolded with the atoms. 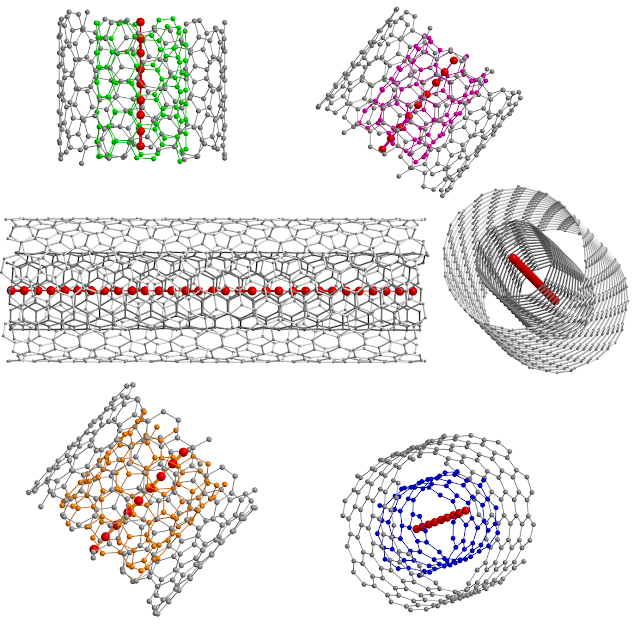 These nanotubes shield the carbyne chains from instant reaction. Their study is published in the journal Nature Materials. The record-holding number of carbon atoms in one constant chain was 100. Now, the recent experiments have broken this record with an shocking 6,400 atoms developing this novel method – and the chain continues to be stable. The plus point with this method is that, carbyne’s electrical properties also increase with its chain length. What this means is that scientists will be able to experiment with the material more efficiently with success from the nanotubes. There is a massive wealth of potential applications using carbyne, and we’re thrilled to see what sorts of devices will ascend with the distribution of this 'miracle' material.